"Storey 's Guide to Raising Pigs" is the trusted resource for new and experienced pig farmers, providing authoritative advice on breed selection, housing, humane handling and butchering, and disease prevention and treatment. 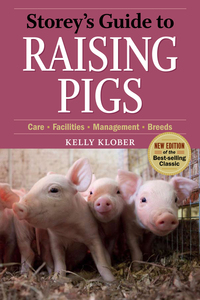 Storey's Guide to Raising Series is the essential animal husbandry information from the trusted source. With a combined total of 1.7 million copies in print.